Translator and author Basil Balian read the full story of ‘Rocambole’ by Ponson du Terrail (1829-71) when he was an adolescent and then waited for fifty years for someone to translate it into English. When no one did, he embarked on a three volume adaptation of the story. Volume 2 – Redemption is now in print. Volumes 1 and 2 are available through Amazon HERE. The work is an adaptation because it differs in the details from the complex and convoluted original story. Balian tried to simplify it for today’s readers but still kept most all of the major plots of the original story. Ponson du Terrail’s great criminal mastermind Rocambole was introduced in France in La Patrie in 1859, in a newspaper feuilleton called ‘Les drames de Paris’ that has remained in print to this day. 1. 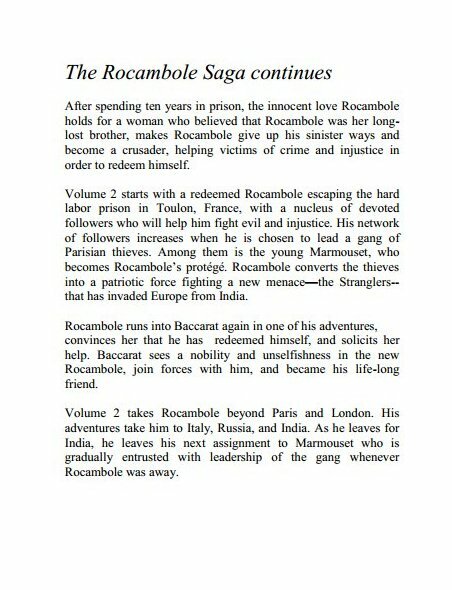 For more on the history of Rocambole and his creator see HERE. 2. André Galland’s French comic strip version of Rocambole you will find HERE. 3. 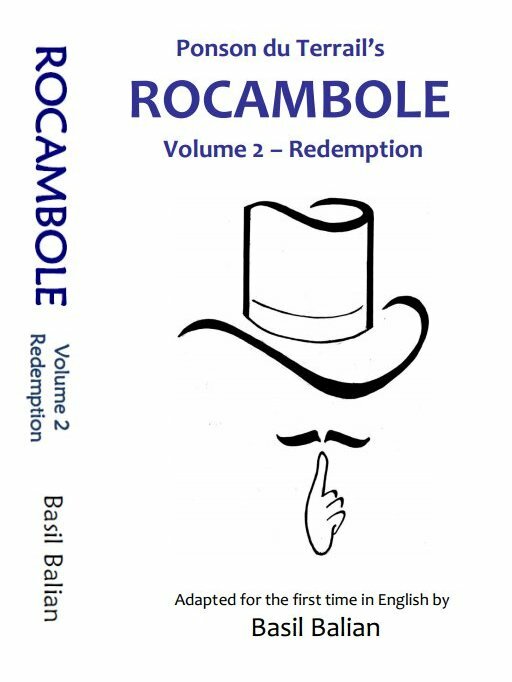 And an article about Basil Balian and his ‘Rocambole, Volume 1, The Dark Side’ is HERE.